Lots of bargains available at Kelly Liquors on Wyoming this Labor Day. 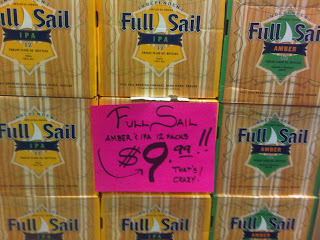 First up, we have Full Sail (in honor of all of you readers spending Labor Day on your yachts...but then, yachts don't have sails, do they?). 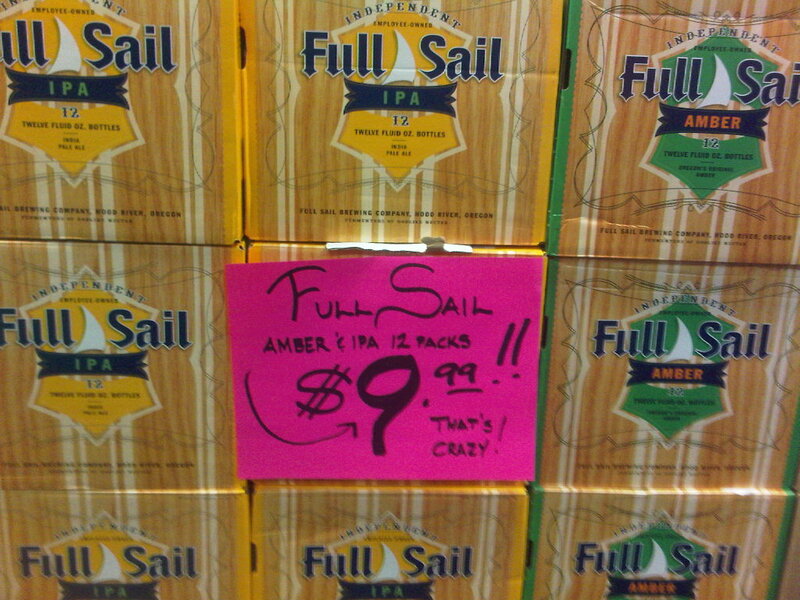 Full Sail's IPA and Amber are selling for $9.99 per 12-pack, a reasonable deal for perfectly drinkable beers. These middle of the road beers not doing it for you on this celebration of your great job that you never mind waking up for? 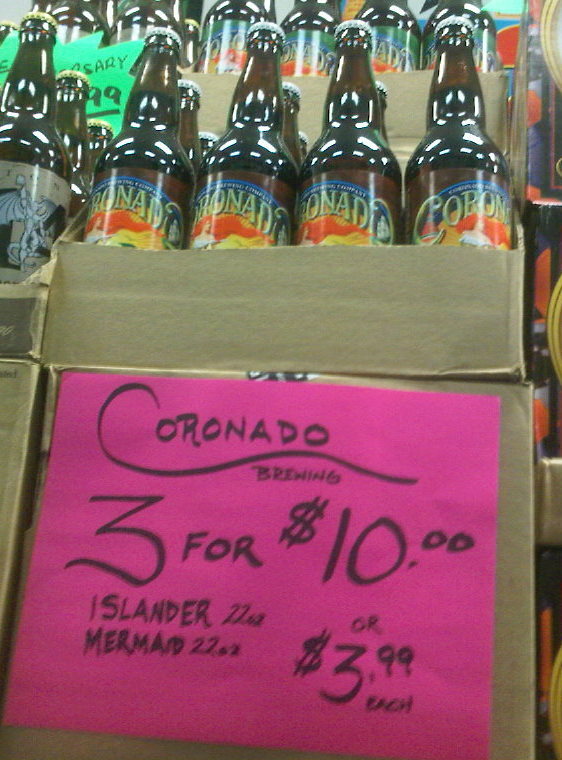 Ok. Moving up in the hop world you have your Coronado Mermaid Red and Islander IPA. Personally, I'd like to see the Idiot DIPA at a reduced price, as the latest batch I've come across is from 3/2/2011. Six months old DIPAs aren't worth my $6.99, but I'd be happy to buy 3 for $10, as the Mermaid and Islander are selling for. You say you want to spend your Tuesday back at work in a hungover haze? I can't say I blame you, and I have just the high-alcohol beer for your holiday that will leave you money to buy something better than Flanders burgers for your holiday cookout. 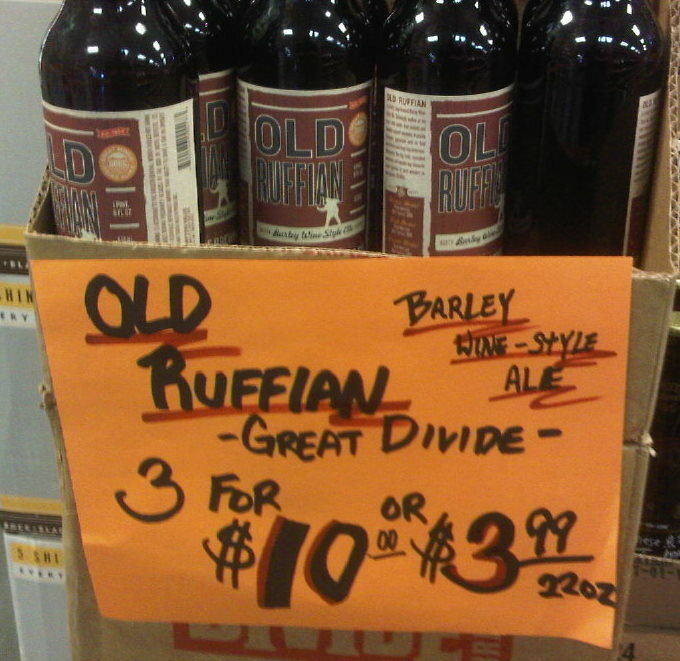 Great Divide Old Ruffian Barleywine, a beer from a brewery that no longer distributes to New Mexico. These 10.2% ABV beers are from late 2009, but we all love our Barleywines with some age on them. At a 3 for $10 price tag, you can't afford to crawl to your cubicle without having downed a beer that was brewed back in the economic boom times of 2009? Old Ruffian also makes a great marinade for your Flanders burgers.